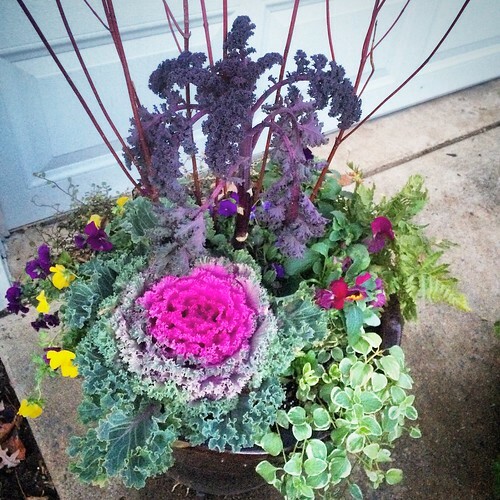 Just because the temperatures are dropping doesn’t mean you have to drop gardening for the season. There are still so many options for the cool (or cold!) season. 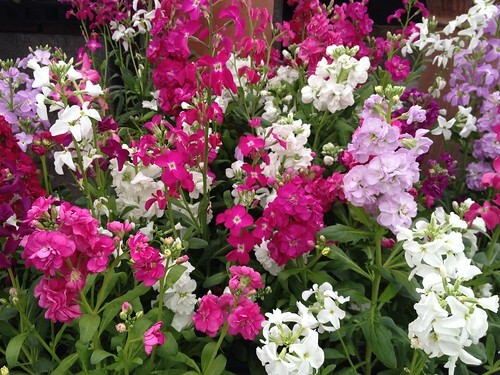 Think about cool season annuals such as ornamental cabbage and kale, pansies, and even snap dragons. Perennials such as euphorbia, carex, acorus or evergreen ferns…and of course evergreen shrubs – the opportunities are endless! Below are some of this years containers to get me through the winter. What are you doing to get your gardening fix this winter? 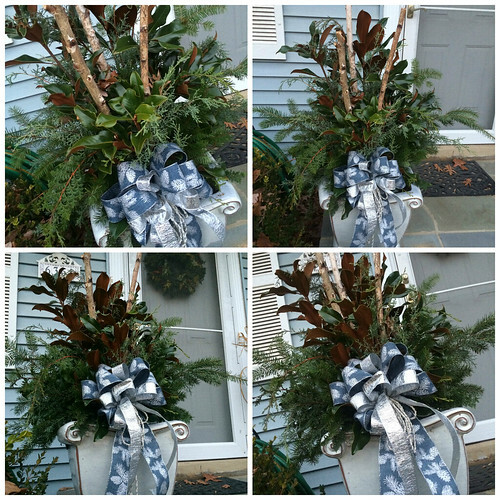 Not everything in your containers has to be a plant…below I added some Red Twig Dogwood branches to add some height to this container. Also think about Yellow Twig Dogwood, Birch branches or Curly Willow. 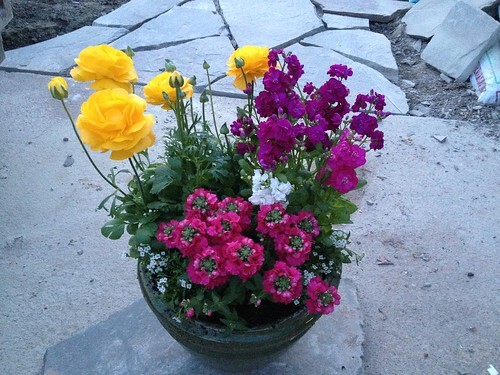 These can really add another element to your cool season containers. For this arrangement I taped oasis floral foam into a mache liner and went to town with a few birch logs and my greens (the Carolina Sapphire being my fave this year!). I dug out some of the soil left in my container garden from fall that finally kicked it, and dropped this arrangement right in. Just be sure to keep it watered for long lasting results. 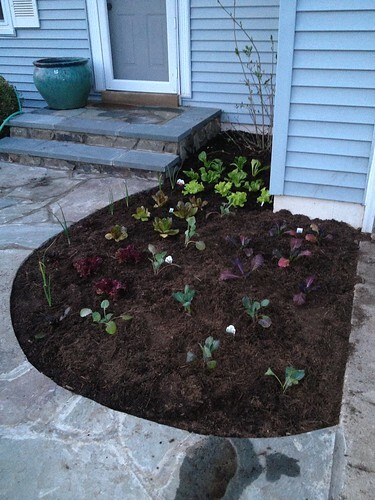 How are you celebrating the winter gardening season at your house? 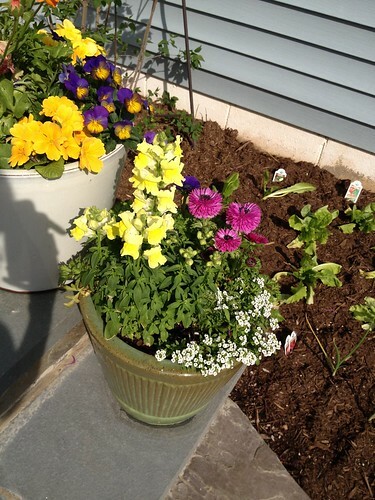 Share your gardening photos with me on my Facebook page at http://www.Facebook.com/Petalpushin! Spring is here…or is it? Wow! What a spring…or late winter!? Just when I thought I’d seen it all, this spring has surprised me again! So unpredictable, this Northern Virginia weather. 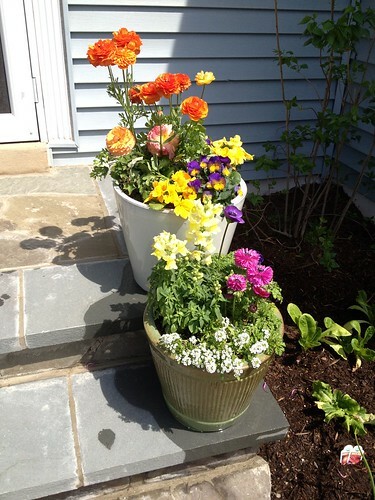 I’m curious, with all of this late snow this year and consistently low temperatures, did you do an early spring garden this year? Of course I couldn’t resist! I absolutely LOVE cool season annuals. 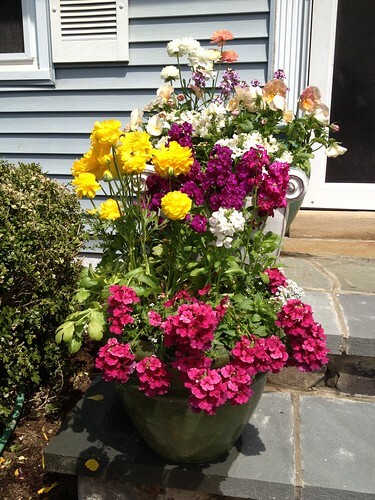 Yeah, yeah, I know what you’re gonna say – cool season annuals don’t last very long…BUT they pack a huge punch for an early pop of spring color! 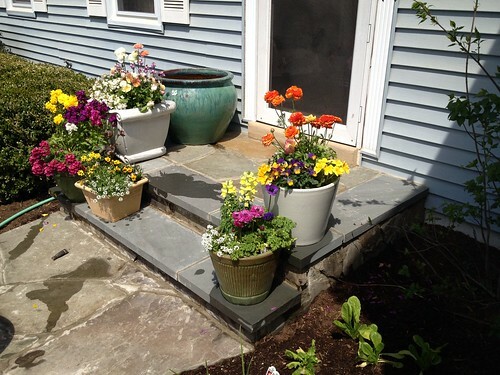 And what else are you gonna do to put out some spring color and get your hands dirty after a long winter?! 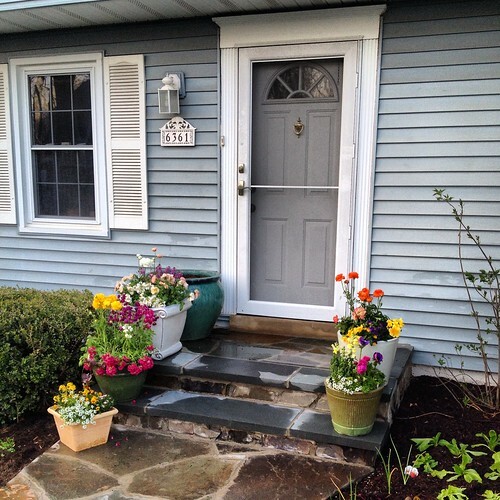 I didn’t go crazy this year but I did do up some pots for my new front stoop (thanks to a certain talented handy man I know, we now have a beautiful new front stoop and walkway!!). 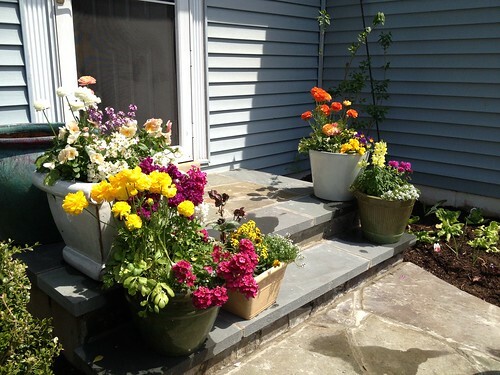 While I potted my pots way back in mid-March, and at times had to scoot them into the garage because it was just too stinkin’ cold, my house has been the most colorful one on the block! My veggie garden (below) on the other hand got planted a few weeks later. Thanks to all the late weather we couldn’t finish the front walk as early as we wanted to. 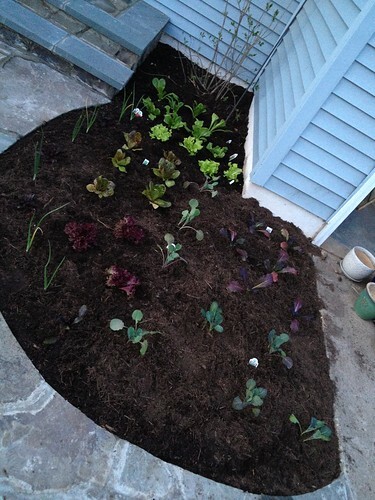 And in case you missed my “Front Yard Veggie Gardening” post from last summer…I do my veggie gardening in the front yard right next to my front walk! 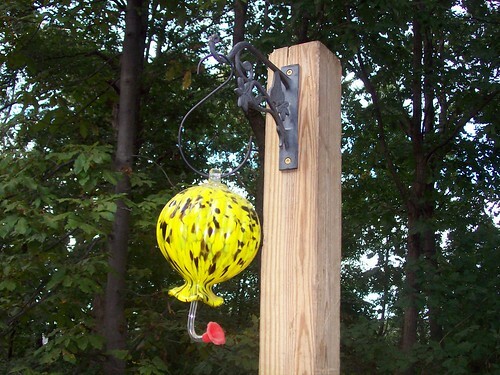 I have to – my back yard is too shady for that stuff. So we were a little later than I wanted to get those veggies in but we’ll see how it goes! 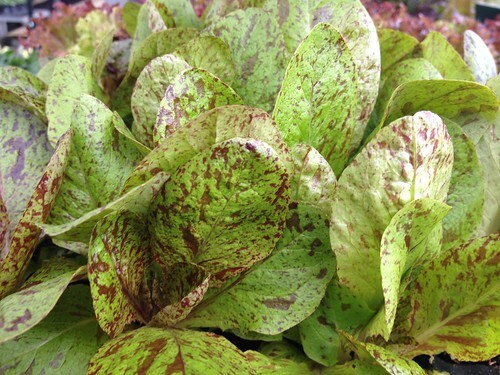 Does anyone else have a favorite lettuce? Mine is this cool & tasty heirloom called Flashy Trout Back. They had me at flashy! 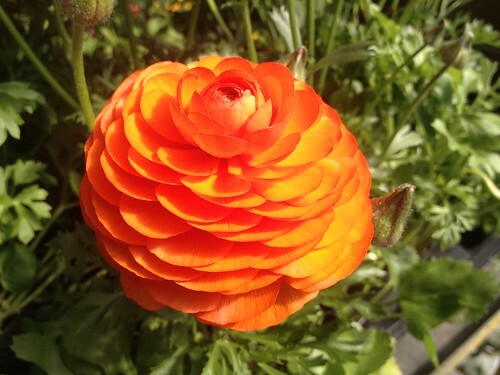 A beautiful bright orange Ranunculus. I seriously can’t get enough of these gorgeous colors! 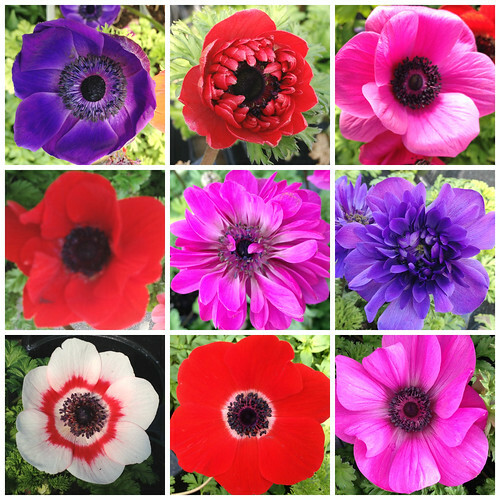 I absolutely ADORE Anemone!!! Especially the doubles! 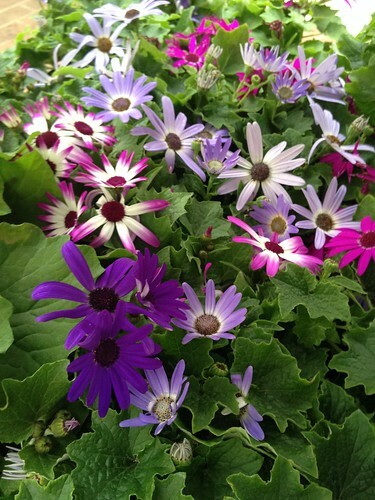 Senetti, or Pericallis, has lovely daisy-like blooms. 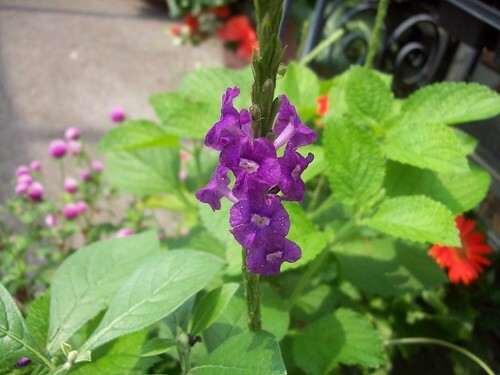 Stock is a great one to add some height to a container or the garden…and it smells sooooo good! This one is called ‘Hot Cakes Mix’. Tell me how you celebrated the arrival of spring. Please feel free to leave comment here or share a pic on my Facebook page http://www.facebook.com/Petalpushin or on Instagram and tag me @Petalpushin. 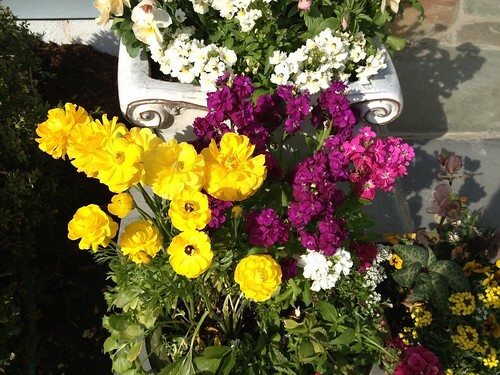 Looking forward to checking out your spring color creations!!! 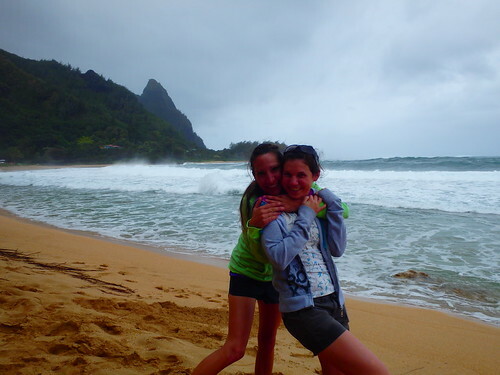 Some of you may have heard I recently went to Hawaii ~Kauai to be exact~ to visit my oldest and dearest friend (that’s us above!). 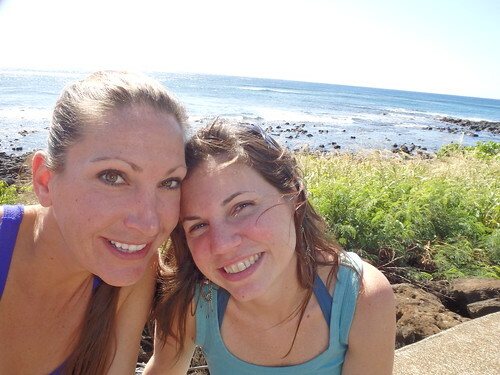 We have known each other since we were toddlers…and though we live thousands of miles apart, and have for many, many years, we still manage to stay in touch and pick right back up where we left off every time we see each other. It was a great trip and perfect timing to get out of the polar vortex in Northern Virginia. 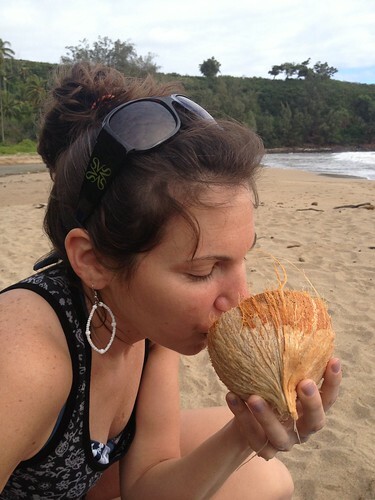 In this post I’m sharing plants I know–plants I grow every year, plants that I have currently in my “basement greenhouse”, and plants that I have grown in the past – all growing like crazy in Hawaii. Some of these photos I took at the Botanical Gardens, some I took growing near the ocean, some in the mountains and other higher elevations and some I took in other inland locations. It was truly amazing for me to see these guys growing big and beautiful outside year-round and how much bigger they can be when they have the chance to really mature year after year. Check ’em out! 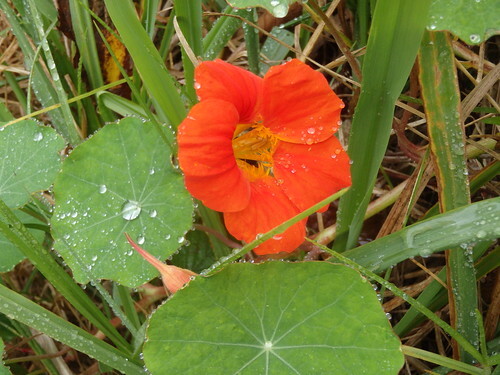 I loved seeing this Nasturtium growing wild! 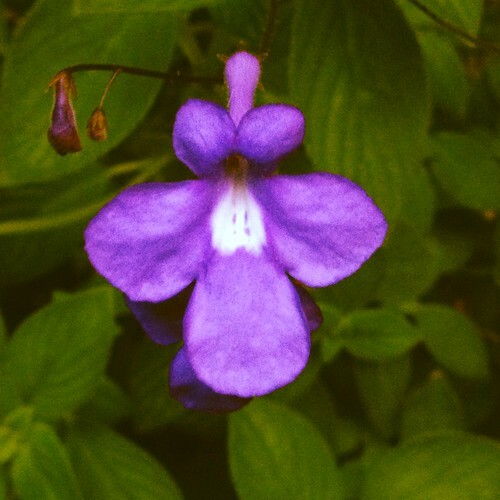 One of my favorite herbs to grow in the summer in Northern Virginia – not hardy here so a real treat for me to see growing everywhere, including up the side of a mountain! 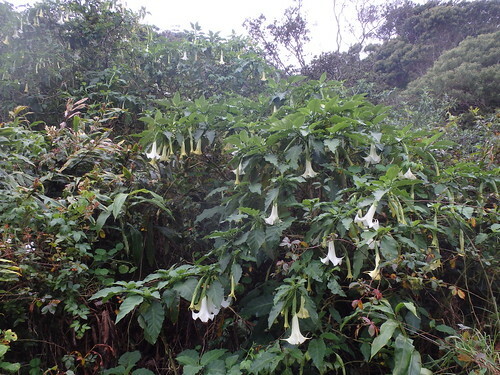 This plant, along with the next six you’ll see here I found all growing in the Waimea Canyon area. 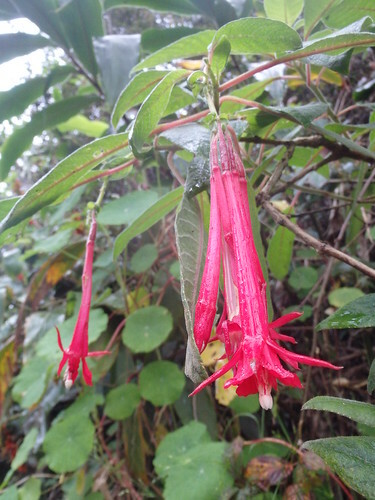 Fuchsia boliviana grows like a shrub in the Waimea Canyon area. 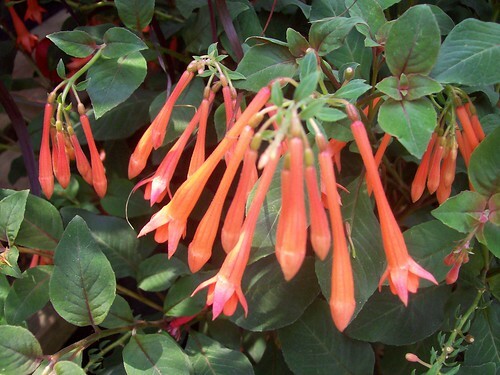 I don’t carry this exact variety at the garden center but do get a couple different varieties that are very similar looking to this one. Ahh, Brugmansia, one of my favorite tropicals. 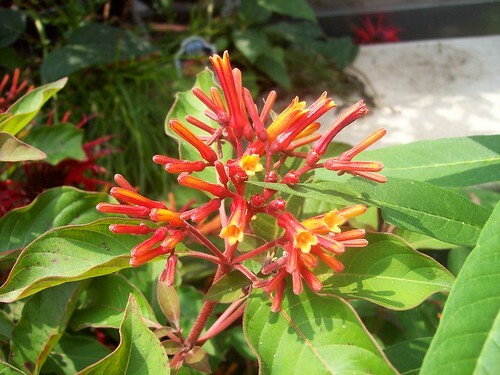 I’ve seen this plant growing in California before, but mostly as an ornamental tree form in peoples front yard. 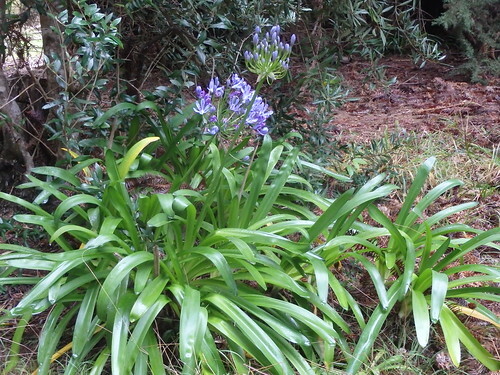 It was great to see this growing wild in the woods of the Waimea Canyon region. 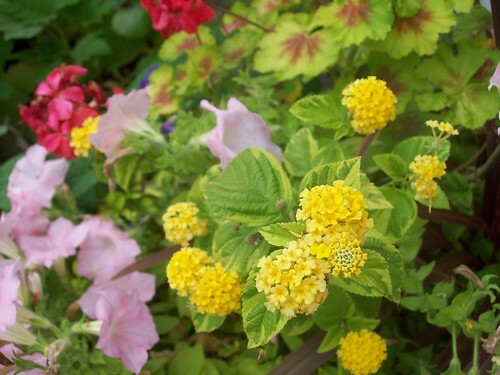 I was excited to see Lantana (an annual that I carry numerous varieties of at the garden center) growing as a large shrub. I typically only get to see this plant growing as an ornamental. 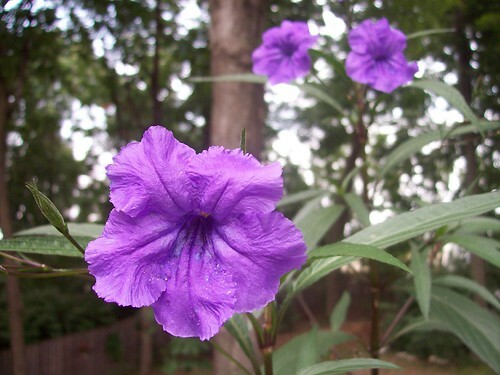 Tibouchina urvilleana – my all time favorite! When I saw this growing along side of a dirt road I yelled “Stop the truck!!”. I HAD to get out and touch it. It’s almost as big as me! I winter over Tibouchina Grandifolia (a similar variety) every year in my basement greenhouse, but mine never gets this big! 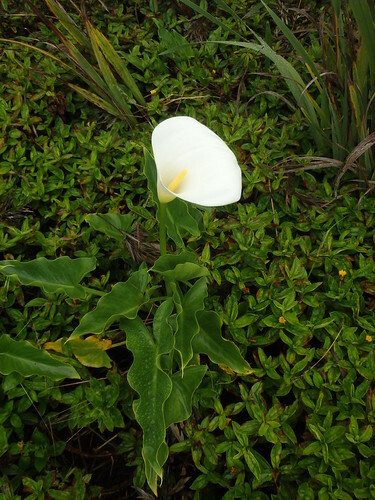 Off the beaten path in a little marshy area near Waimea Canyon I came across the biggest Zantedeschia aethiopica, or Calla Lily, I’ve ever seen! 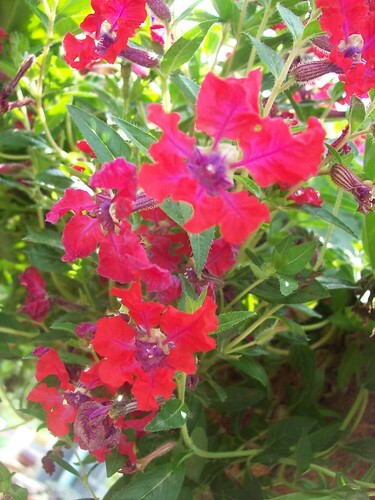 The one pictured is one of the smaller ones but there were a number of them blooming and many almost as tall as me! Okay, another one of my absolute favorites: Acalypha wilkesiana, a.k.a. Copperleaf. I am currently wintering over a couple different varieties of this fantastic tropical in my basement greenhouse. 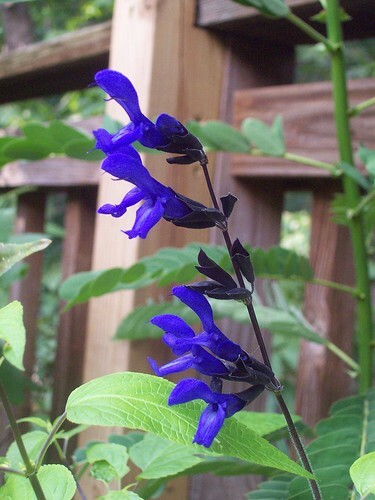 I’m a huge fan of this plant, and in my opinion, totally underused in container gardens and in the landscape in the DC Metropolitan area. 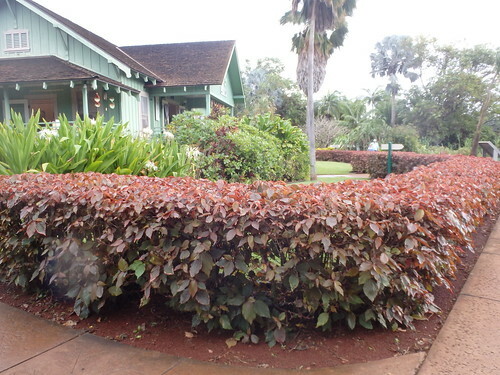 In Hawaii this plant is often used as a hedge as seen in this picture at the Botanical Gardens. 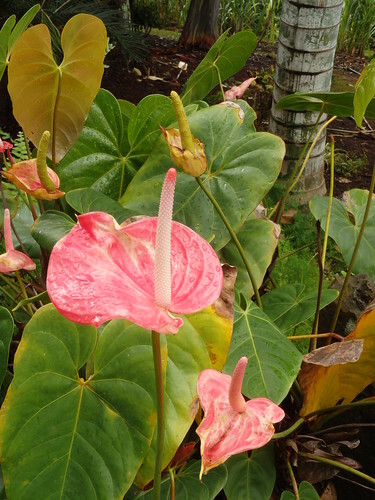 Stumbled upon this pretty pink Anthurium. In most areas this is a house plant, MAYBE seeing the outdoors in the summer months. This and the following nine photos were all taken at Allerton Botanical Gardens and McBryde Garden. 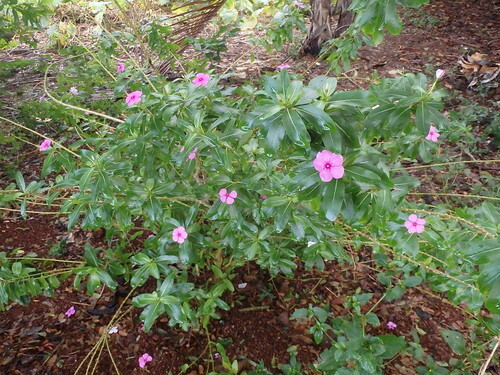 This Flowering Vinca was a small shrub in Hawaii! 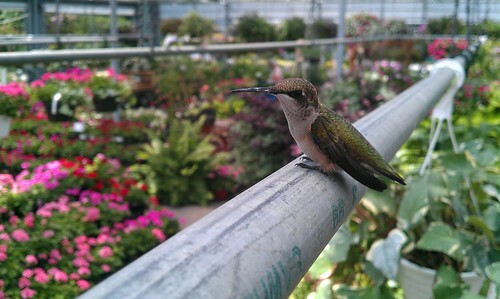 Another annual I carry all summer long at the garden center. Great for full sun and drier conditions. 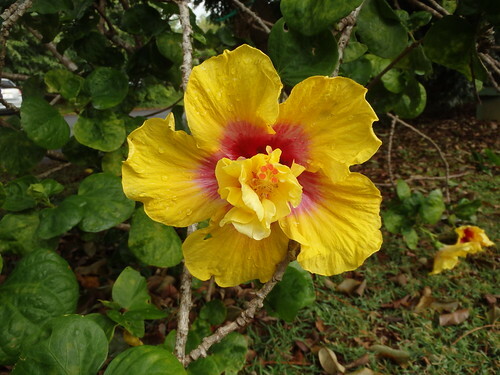 One of many tropical Hibiscus plants I saw. I particularly liked this double bloom variety. 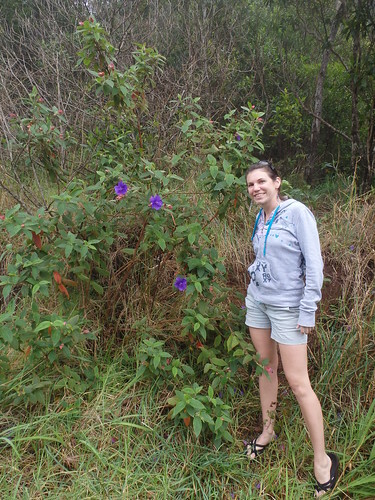 They are like the Azalea of Hawaii – they’re everywhere! 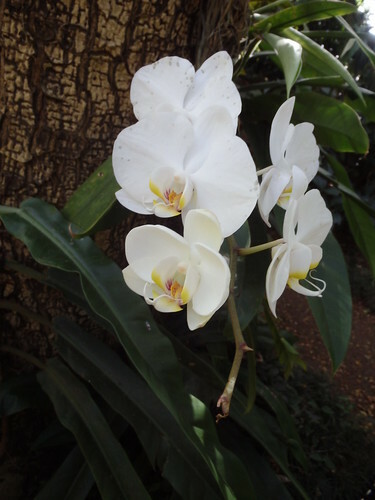 I found this Phalaenopsis Orchid, among many other types of Orchids growing on trees. Schlumbergera, or Zygocactus is your typical Christmas Cactus! 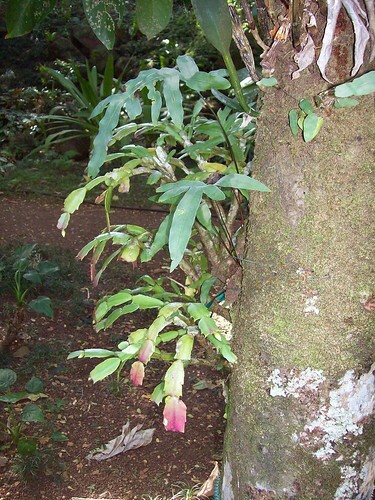 Like Orchids, these guys are also epiphytes – meaning they grow on trees. 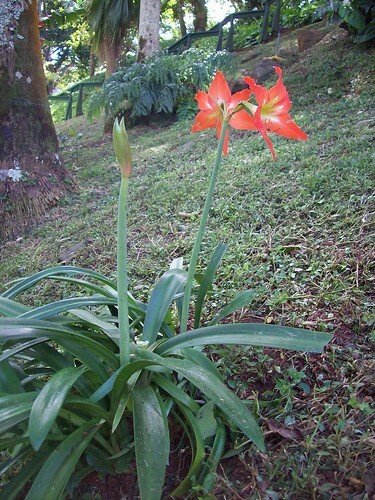 Another holiday favorite we carry at the garden center is Amaryllis but of course isn’t hardy during the winter months here in the Mid-Atlantic. Looks like this one just popped up out of nowhere! Love this one! I have this Ginger growing in my basement greenhouse – for the third year! I scooped up this no name Ginger at the end of the season at the garden center. 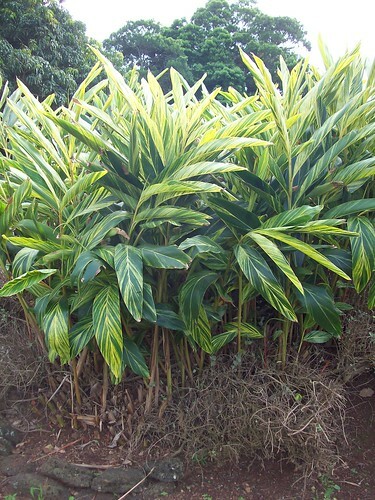 I believe it’s Alpinia zerumbet ‘Variegata’, a.k.a. Shell Ginger. I’m so in love with the variegated leaves! 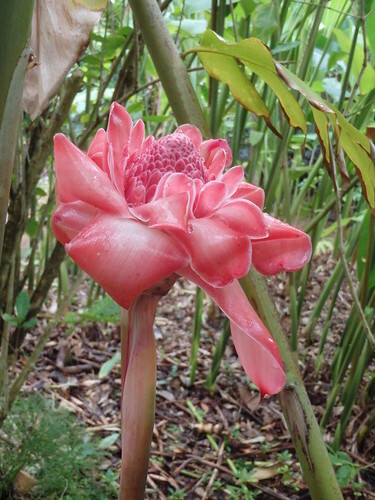 This particular ginger is Etlingera elatior, or Torch Ginger. This was one of MANY different gingers that were growing EVERYWHERE! I just couldn’t get enough of all this Ginger! 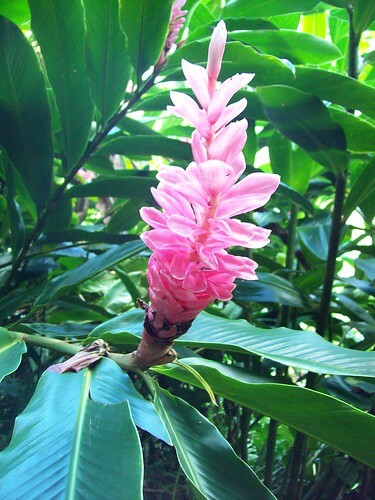 This is another Torch Ginger, Alpinia purpurata. So beautiful! Yet another one of my favorites (okay, can they ALL be my favorites?!?!). 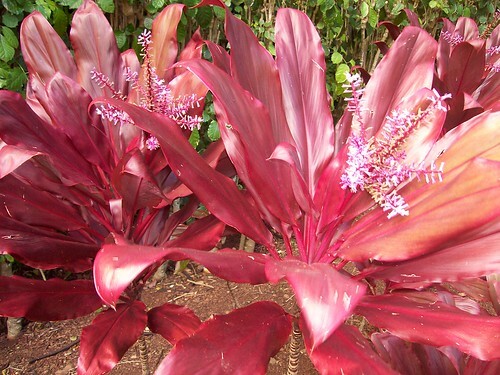 Cordyline fruticosa, or Ti Plant (pronounced Tee) is another one I have growing in the “greenhouse”. 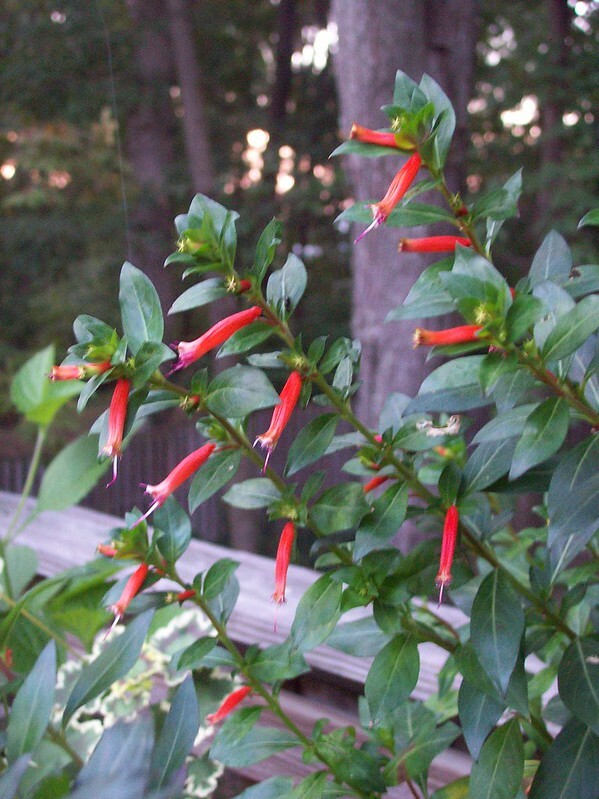 Often used as a houseplant in this region, but I always put mine outside in the summertime when there is no danger of frost. 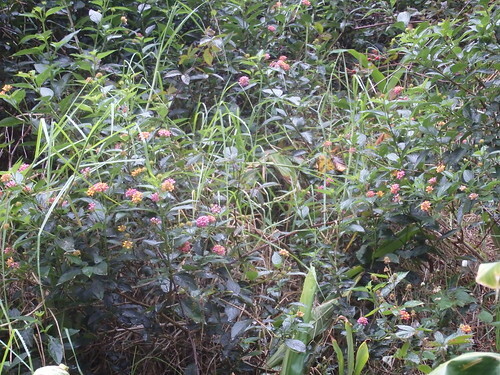 Stachytarpheta mutabilis, a.k.a. Porterweed, is a super annual here in the Mid-Atlantic area, so I was particularly excited to stumble upon this guy growing wild! 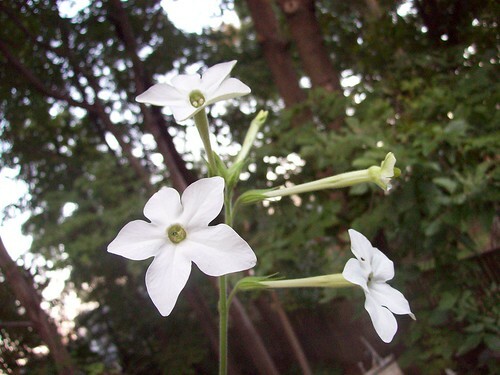 I typically found them growing along river sides and in some higher elevations as well. 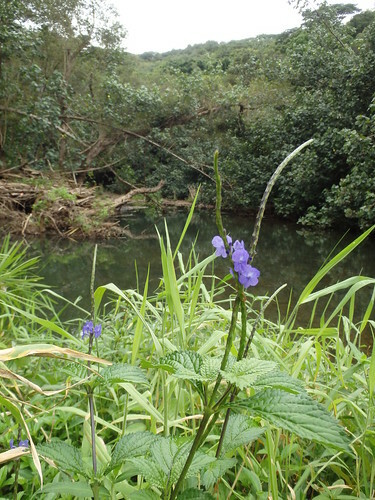 I snapped this shot while hiking along Wailua River. 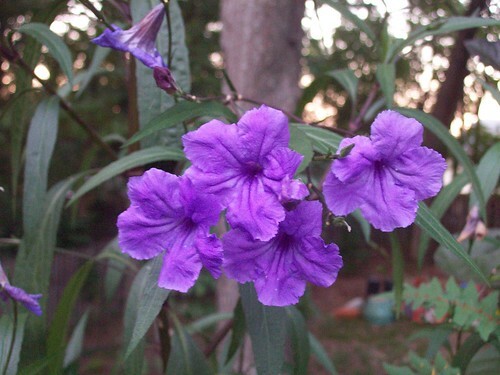 Bougainvillea is a great tropical that I occasionally carry in the Annuals Department at the Garden Center. 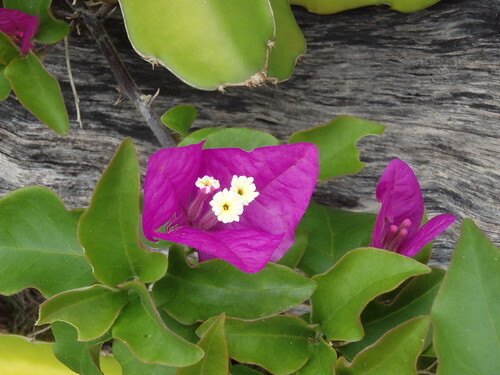 This plant grows everywhere in Hawaii – hillsides, mountainsides, beach-sides, the list goes on. It’s so bright and colorful! 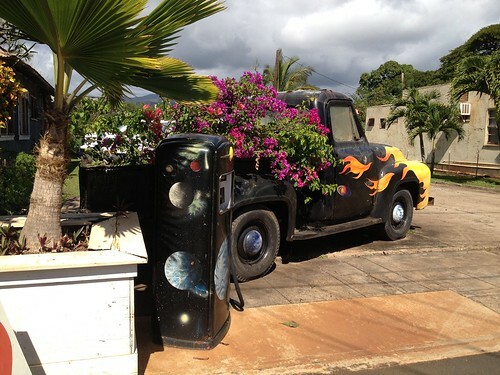 I even found it growing in the bed of an old truck! ;-) This was in a super cute little artist town called Hanapepe. 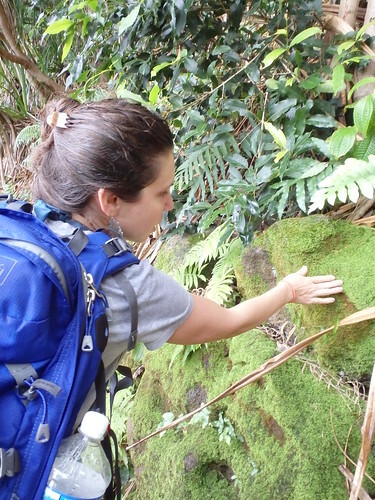 And finally, here I am checking out some pretty cool moss while hiking the Hanakapiai Trail. This place is truly breathtaking. So, try something new next spring and sprinkle some of these cool new varieties throughout your landscape or in your container gardens. I’m already looking forward to giving these guys, and others, a whirl! Who cares about annuals anyway? 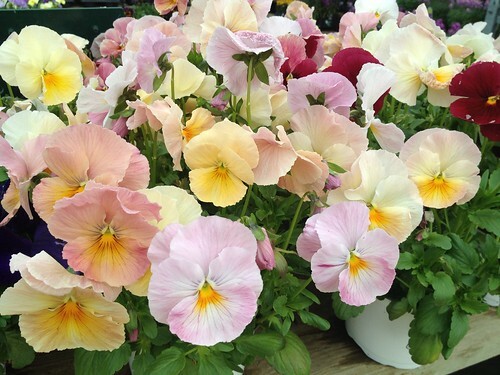 The question I hear most at the garden center is “Are annuals the ones that come back every year or do I have to plant them every year?”. In my immediate defensive answer I explain to them yes, you plant them every year, BUT they provide beautiful summer color all season long! 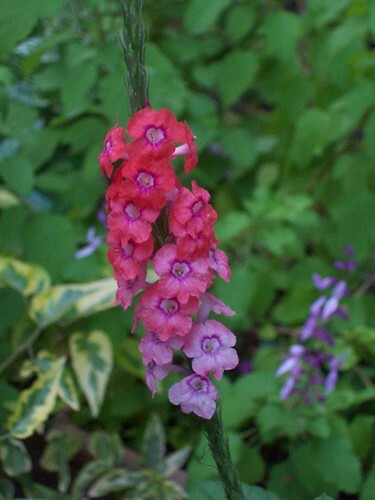 Although perennials will come back year after year, many will only produce color for 4-6 weeks. 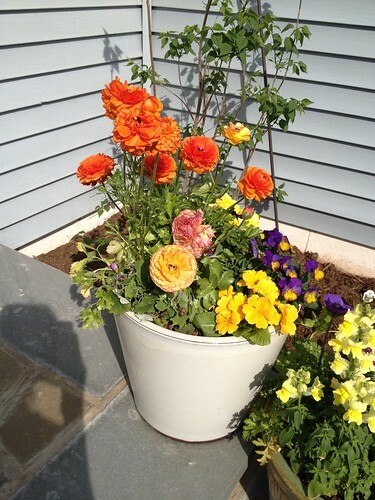 I mean who doesn’t want showy, bright colorful flowers in their gardens and containers ALL SUMMER LONG?!?! Don’t get me wrong, I’m not a hater. 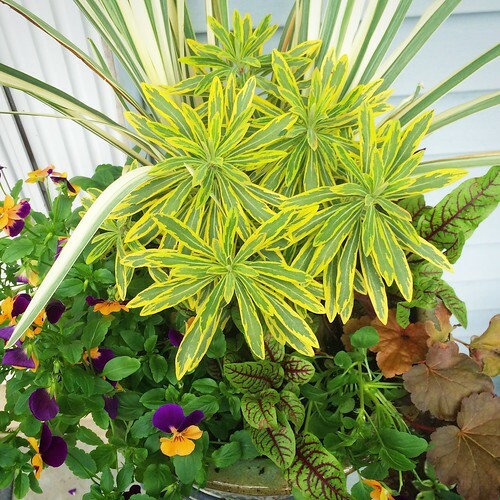 I love perennials too (especially ones that have interesting foliage or other fun attributes). 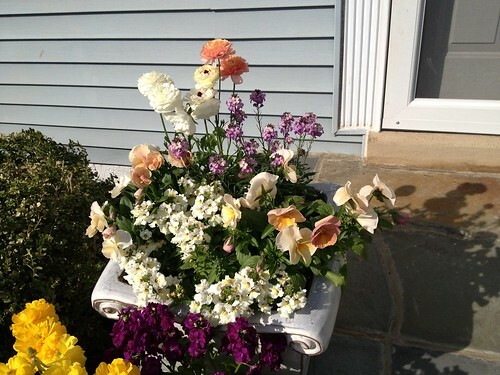 And a great mix of annuals and perennials can’t be beat. But for me, annuals are where it’s at. 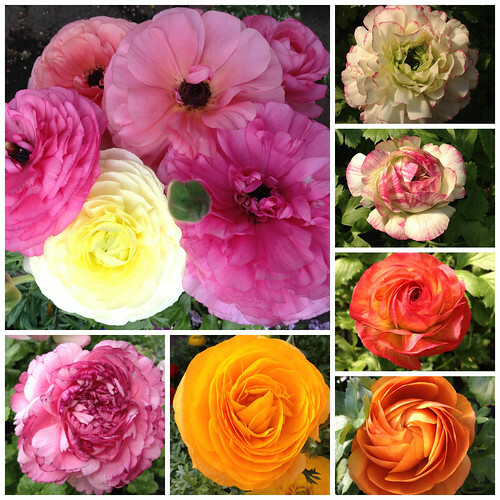 So check out these pics of some fun annuals and see why you should care about annuals anyway! 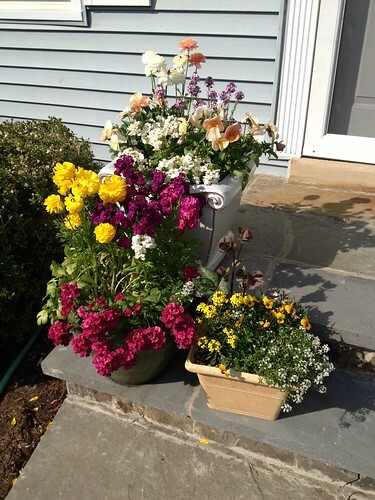 One of the many container gardens on my front porch now.